UNHCR just published an extensive report on credibility assessment in EU asylum systems. The report also covers the use of Country of Origin Research (COI) for assessing credibility. 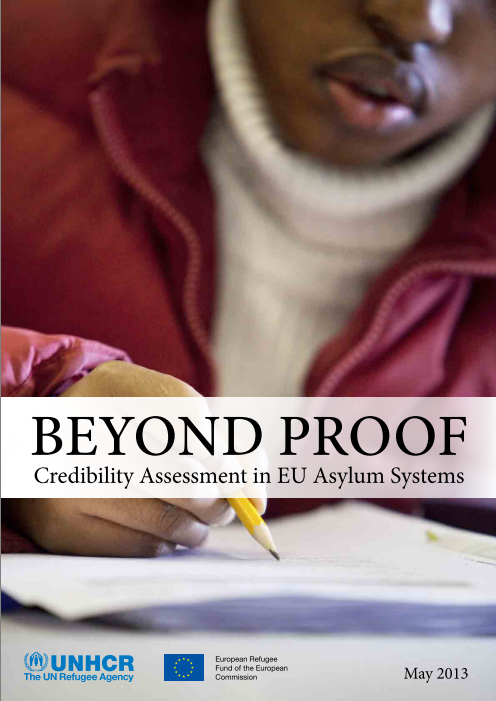 The report “Beyond Proof – Credibility Assessment in EU Asylum Systems” was publishd as part of the project Towards Improved Asylum Decision-Making in the EU (also called CREDO project) and aims to contribute to the further harmonization of Member State practices in terms of assessment of credibility. This report seeks to clarify some key concepts, reference key standards, outline factors that have a bearing on the credibility assessment. It also aims to provide some insights into state practices on specific aspects of the credibility assessment. Today there is a strong need for comprehensive and up-to-date guidance on credibility assessment to address the challenges faced by adjudicators in asylum systems. UNHCR has therefore embarked on the review of its own guidance with a view to producing updated guidelines on credibility assessment that reflect recent developments in international refugee law and other relevant areas of law. This report thus does not constitute that updated guidance, although its findings will be taken into account in the guidance’s preparation process ».